Home sales and prices in the Tucson market rose in March, while new-home building permits jumped. The number of home sales in the Tucson market was up 16 percent in March compared with a year ago, according to the latest figures from the Multiple Listing Service of Southern Arizona. The average number of days listed homes were on the market fell to 57 in March from 65 in February. The average sale price in March was up 2 percent on a year-over-year basis, at $212,988. The median price — a measure that minimizes the skewing effect of very high and very low sale prices — rose to $177,050 in March, up nearly 5 percent from February and 3 percent from the prior year. 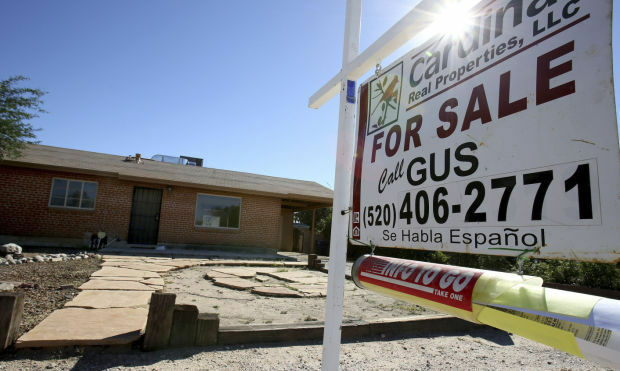 The Tucson Association of Realtors has forecast that home prices will rise 3 to 6 percent this year. The 1,480 Tucson-area homes sold in March represented a 40 percent increase from February and a 16 percent increase from March 2015. The total home sales volume of $315 million in March was up 18.5 percent from March 2015 and 45 percent from February. One dark spot in an otherwise bright report for March, the Realtors said, is active listings, which were down 16 percent from the prior year at 4,802. That’s just over three months worth of inventory, while the Realtors consider a market in equilibrium — favoring neither buyers nor sellers — when it has six months worth of inventory available. Meanwhile, 271 new single-family home building permits were issued in the Tucson market in March, an increase of 39 percent from a year ago, according to Bright Future Real Estate Research. That’s the best showing since 2008, not counting a couple of months when builders pulled more permits in anticipation of fee increases, said Bright Future’s Ginger Kneup. In contrast, a 15 percent drop in new-home inventory in March suggests the increased permitting was driven by demand, Kneup wrote in her latest market report. 11 Spanish Colonial homes will be priced between $775,000 and $1.1 million. Amy McReynolds, senior vice president of KB Home Tucson, to lead the 2016 initiatives. But building permits for new single-family homes rose nearly 40 percent last month. A look at key indicators and some national rankings show why.